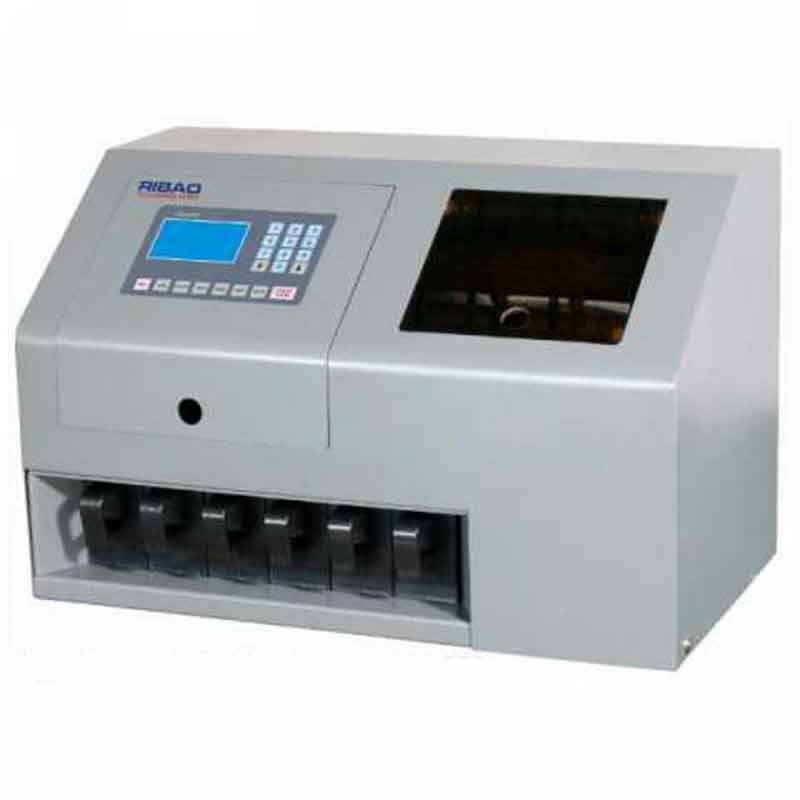 The Ribao CS-600A Coin Sorter without Alloy Sensor saves time and money. CS-600A is a heavy duty coin sorting and counting machine. Count and calculate up to 600 coins per minute, with automatic sorting of 6 difference denominations. It is very simple to operate the machine even with little or no training. It counts and sorts coins into separate drawers accurately. It displays total counting result and each separate drawers counting result on LED screen, very easy to read. Tilt sorting rail is easy for cleaning and maintenance. Its steel construction makes the machine very heavy duty and robust.